Who knew you could have so much fun with a few wood dowels and a little elastic cord. 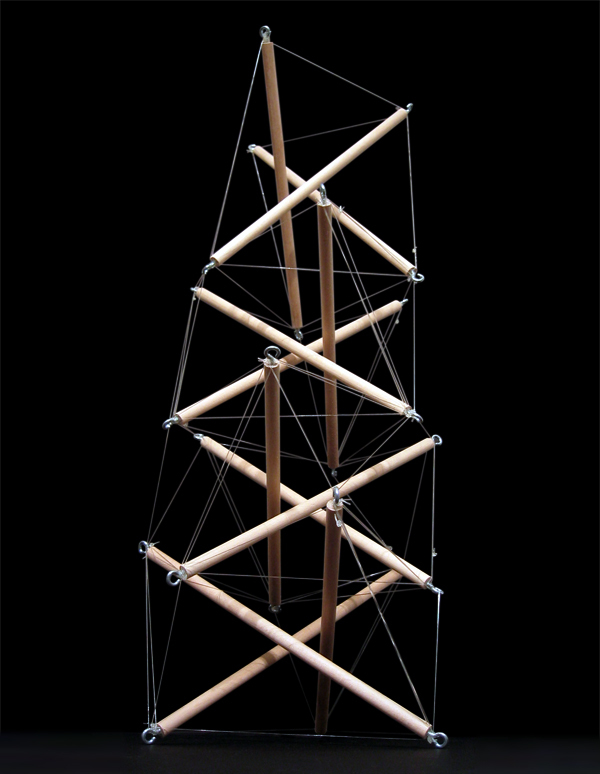 I created this as a first attempt to figure out how exactly tensegrity structures get assembled and "tuned" via adjusting the elastic cords so that each tension member has the same amount of tension as the others, thus keeping the structure at equilibrium. My next response will hopefully incorporate a responsive system by making the elastic cords out of electropieziolastic materials so that each member can contract or expand via electrical current, thus having a tensegrity system that could adapt to different situations.